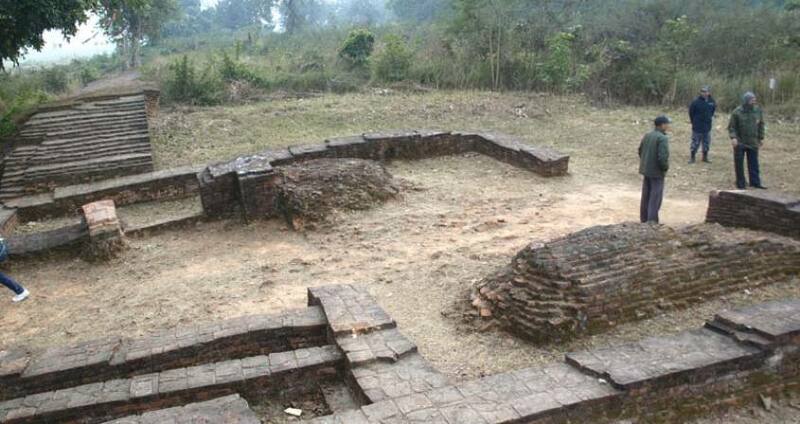 Niglihawa:Niglihawa or Nigli sagar is situated nearly 8 kms north-east of Taulihawa and 32 kms north-west of Lumbini.It is a very important archaeological site in this region.It features a large manmade pool, which is commonly known as Nigali Sagar.Close to the pool lie two pieces of a broken Asokan pillar.The lower part o pillar is emerging in a slanted position from the ground. The upper part ormerly lay at the edge of the pool half sank in the water.It is believed that the Kanakmuni Buddha, one of the earlier Buddhas before Shakyamuni Buddha, the twenty third in the list of tweny four Buddhas was born, Enlightened and met his father in this place. Day 01:7.30AM Drive to Tilaurakot for Tilaurakot Durbar tour 10.00AM Tour to Kudan 11.30AM Lunch at Taulihawa 12.30PM Drive to Gotihawa tour 2.15PM Tour to Niglihawa, Twins stpa and Sagarhawa 5.15PM Drive back to your Hotel. Day 17.30AM Drive to Tilaurakot for Tilaurakot Durbar tour 10.00AM Tour to Kudan 11.30AM Lunch at Taulihawa 12.30PM Drive to Gotihawa tour 2.15PM Tour to Niglihawa, Twins stpa and Sagarhawa 5.15PM Drive back to your Hotel.